Your furnace humidifier is connected to your home's plumbing system, and uses water to add moisture to the air in your home. If your furnace humidifier develops, cracks, clogs, or leaks, water can start to drip in and around your furnace. If you get annual furnace tuneups, your local HVAC contractor will likely have already noticed and fixed the problem with your humidifier. However, if you don't get annual furnace inspections or tuneups, and your furnace starts to develop leaks due to the humidifier, you should contact your local HVAC company to do furnace repairs in Fridley MN, otherwise the internal leaks could cause major damage to your furnace and the surrounding areas which may even result in furnace replacement. 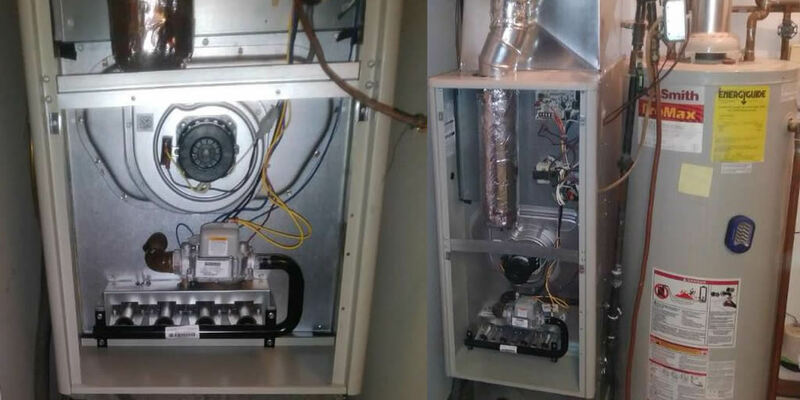 Furnace Repairs in Fridley MN Furnace Repairs in Fridley MN For more information on why your furnace is leaking, feel free to ask your local HVAC contractor in Fridley MN. All Climate Mechanical, your local HVAC contractor in Fridley Minnesota, can provide you with the following services: Furnace Replacement, Furnace Repair, Furnace Service, Furnace Maintenance, Air Filters and Filtration, Boiler Replacement, Boiler Repair, Boiler Maintenance, Boiler Controls and Outdoor Resets, Pipe Thawing, Boiler System Operation, Unit Replacement, Unit Repair, Unit Maintenance, Storm Damage Assessment, Thermostats and Controls, Rebates, Preventative Maintenance, Air Conditioning Replacement, Air Conditioning Repair, Air Conditioning Maintenance, Air Conditioning Coils, Ductless Split Systems, Economizers, and Plumbing. For more information on why your furnace is leaking, feel free to ask your local HVAC contractor in Fridley MN.